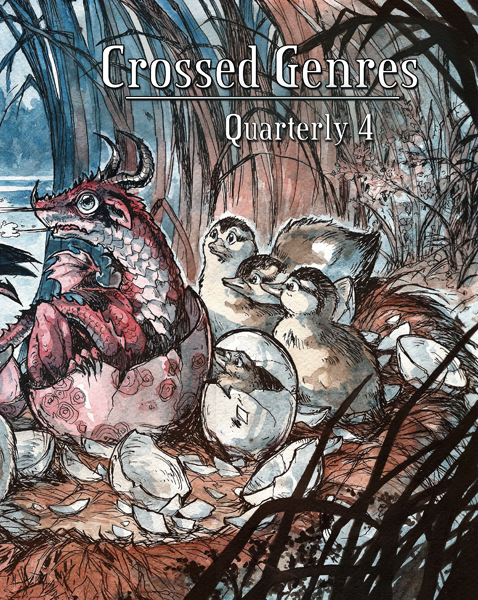 Crossed Genres Quarterly 4 has been released! Crossed Genres Quarterly 4 contains issues 34 (Monsters), 35 (Dark Comedy) and 36 (Different). It also has exclusive new fiction, plus original cover art “The Very Ugly Duckling” by Minna Sundberg. CG-Q4 is available in print and ebook. Please visit the website to find out where/how to get it, and please consider purchasing a copy!